Honestly, I never ate many omelets. I never liked eggs to an extent that I would cook them on my own time. I would eat one every now and again, if it was available, but that’s about it. 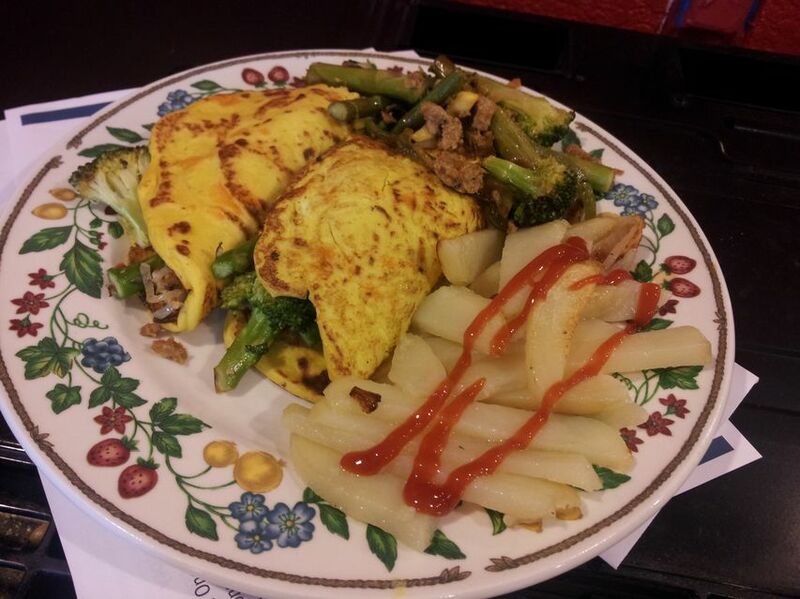 I was browsing the ‘net when I saw the idea for a vegan omelet. Why not? If anything I did it just as a ” HA HA ” to meat eaters, showing off our vegan breakfast rights and how delicious they can be. The best part is… you can stuff this thing with anything you have. Every time I make them, I cram them with a different thing. Add garlic, tofu, nutritional yeast, olive oil, salt and turmeric to a food processor and blend until smooth, scraping the sides as you go. Add the flour and cornstarch and blend until just combined and smooth. Preheat a large non-stick skillet on medium heat. Make sure it’s large, you’ll need room for flipping. Once that’s good to go, pour in about 1/2 cup of batter. 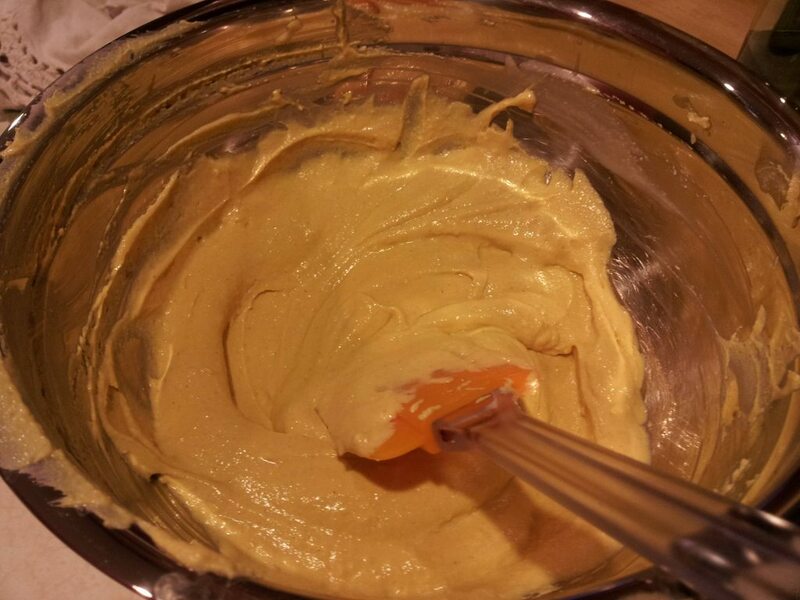 Work fast and spread the batter out into about a 6 inch circle with a rubber spatula. If you make a hole, patch it quickly with wet batter. Let cook for about 3 minutes before flipping. You should see some brown speckling, if not, let it cook a little longer. 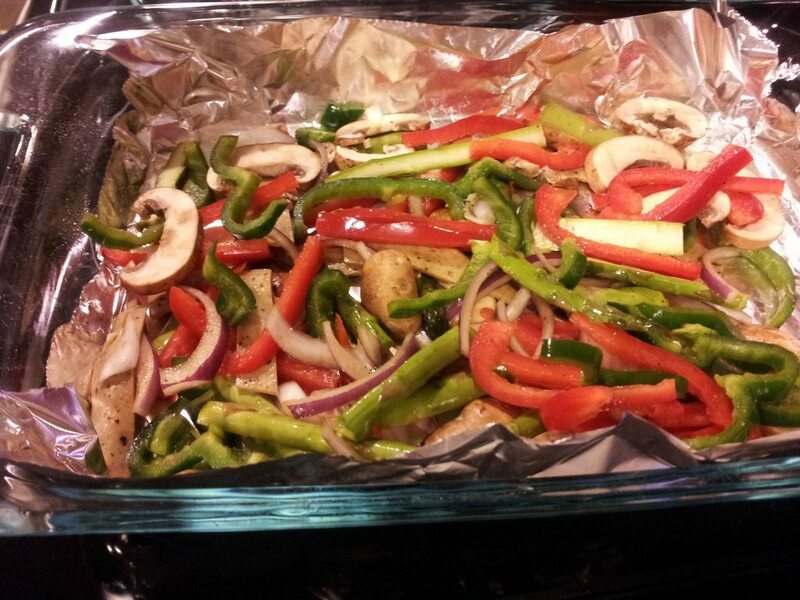 Once done, stuff with vegetables, baked potato cubes or mock meat and enjoy. 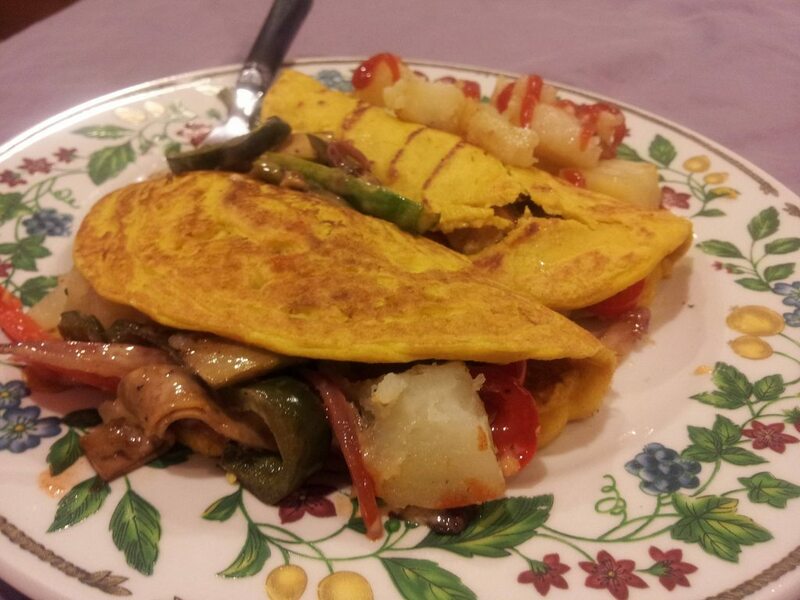 This entry was posted in Recipes and tagged asparagus, bell peppers, broccoli, mushrooms, nutritional yeast, olive oil, omelet, potato, tofu, tofurky, turmeric, vegan.